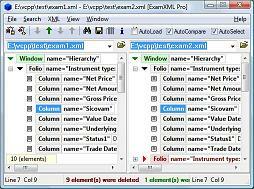 ExamXML is a powerful and easy to use a visual XML differencing tool for Windows 98/Me/2000/XP/2003/Vista/7. It was specially developed for comparing, editing and merging XML files in an intelligent manner and comparing folder hierarchies containing thousands of files. ExamXML Pro additionally includes command line utilities MDCXML and FolderCMP, Visual tool for comparing directory hierarchies ExamDir, and API for using in customer applications. It provides best-in-class features that distinguish ExamXML from other XML differencing tools. Unique to ExamXML is its ability to ignore elements that match custom condition. In addition to the usual textual comparison, ExamXML adds ability to compare numbers in numeric format and dates in date / time formats. A7Soft xml2csv is a command line utility for converting XML files to CSV values. This is a definitive tool for developers working with Excel who need back office batch conversion from XML to CSV. The A7Soft xml2csv conversion engine makes the xml-to-csv transformation a breeze. You should specify which attributes and elements you would like to be extracted from a XML document and all of the converting jobs are done by xml2csv just in seconds. Full integration with ExamXML makes the process of specifying elements and attributes clear and simple. A7Soft csv2xml is a ultimately command line tool for converting CSV to XML. You can convert CSV values either to XML attributes or XML elements. Since CSV is still popular in office application, A7soft csv2xml is a necessary tool for back office process. 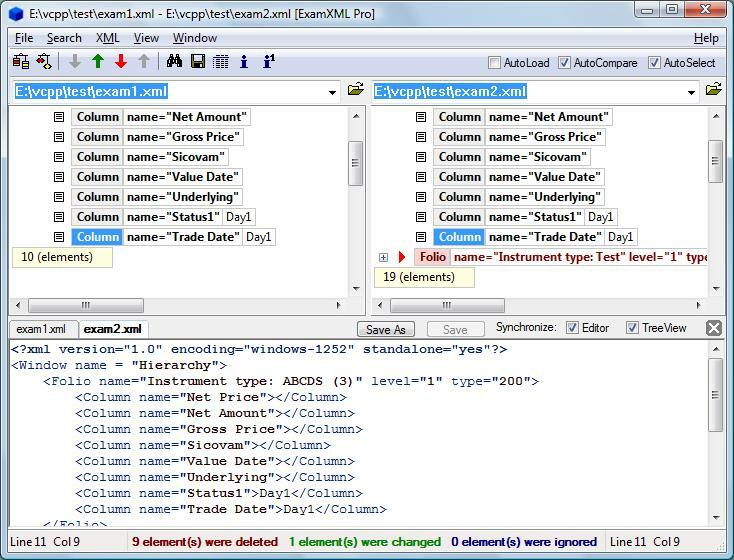 JExamXML is a Java based command line tool for comparing and merging XML documents. It can calculate differences between two XML files and save them to the report file.